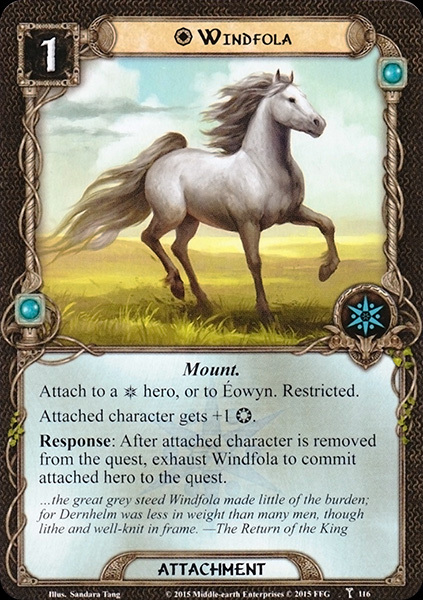 Attach to a hero, or to Éowyn. Attached character gets +1 . Response: After attached character is removed from the quest, exhaust Windfola to commit attached hero to the quest.